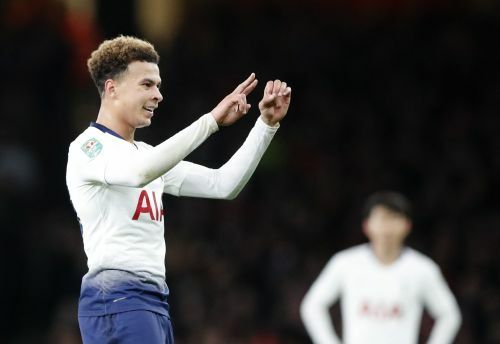 LONDON (AP) — Arsenal says it is working with police to find the fan who threw a plastic bottle at Dele Alli during the League Cup loss to Tottenham. The bottle was hurled at the Tottenham midfielder about 12 minutes after he scored in the second half of the 2-0 quarterfinal victory. Arsenal says footage "showed him leaving the stadium after throwing the bottle." The club added that it is "liaising with the Metropolitan Police and investigations continue in order to apprehend the culprit." Arsenal apologized to Alli, saying "we have all been embarrassed by the individual."